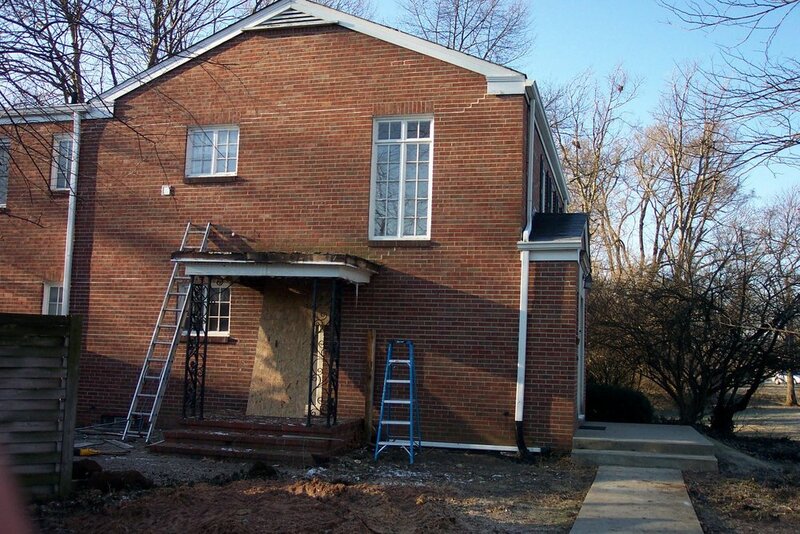 One of our favorite parts about the work we do is seeing the transformation of clients' homes. This page is dedicated to showing some of those dramatic transformations. Click through the slide show to see how these projects transformed. 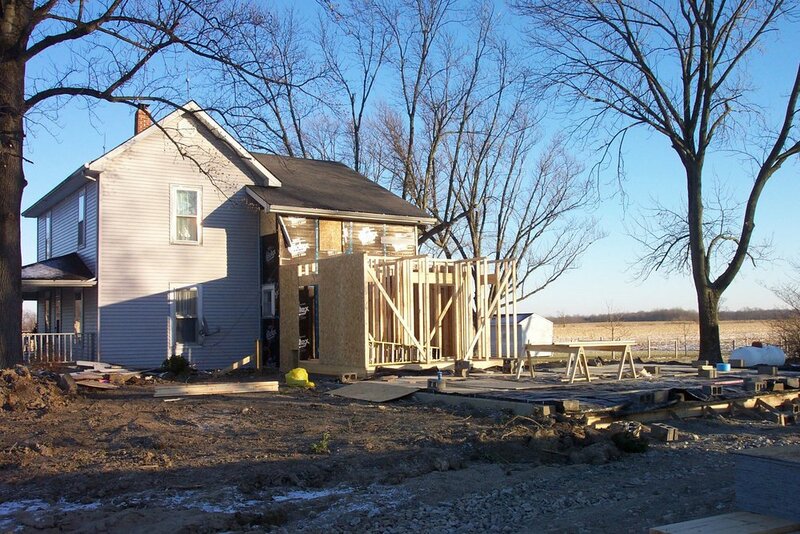 Below are some before and after pictures of the Fishers home. 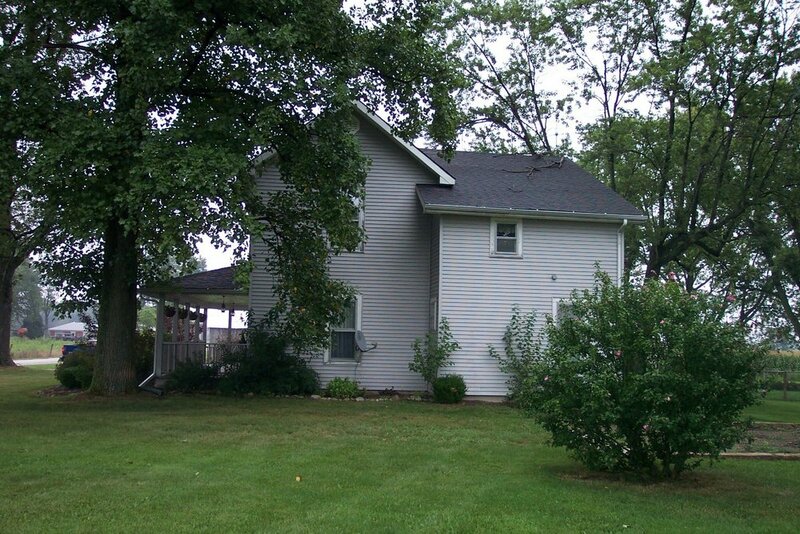 Click here to see the transformation page which has before, during, and after pictures of this whole home renovation and addition. 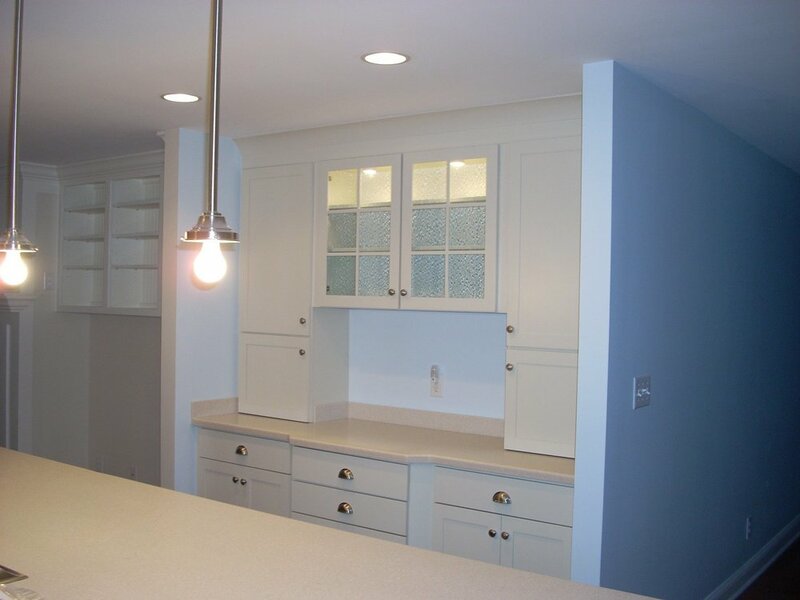 Click here to see a full project description and a finished photo gallery. For additional information and pictures, visit the clients' Facebook page which includes photos and descriptions of events as well as the clients' perspective on the experience during the remodel. The update to this farmhouse built in the late 1800's involved care to match the existing trim work of the historic home. 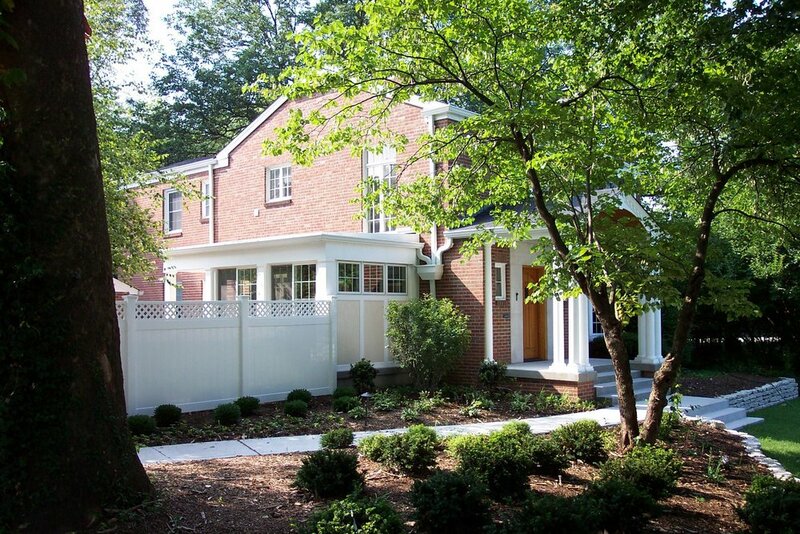 A three car garage was added, and the home's entry was remodeled to flow into the newly-constructed space. 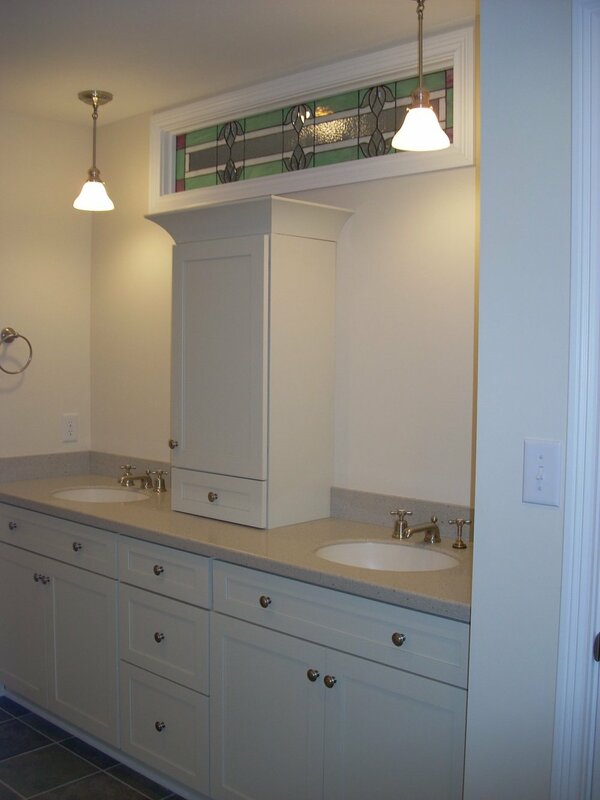 Architectural details of the period were incorporated in product selections including fixtures, trim, and the garage doors. 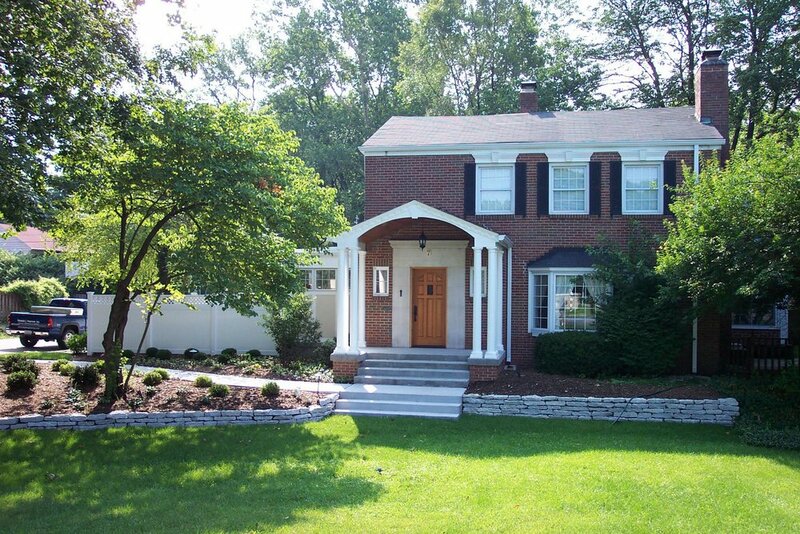 This Meridian Street home was updated to include a new front porch, changes to the front elevation, and construction of a side portico and mudroom. A new winding sidewalk eases you to the new front porch, steps, and front door, welcoming you to the home. 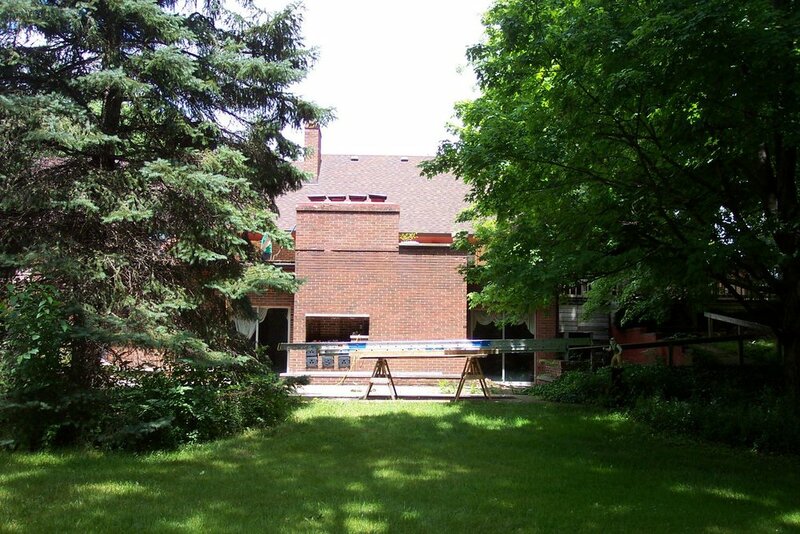 Adjacent to the side portico is an enclosed patio area. 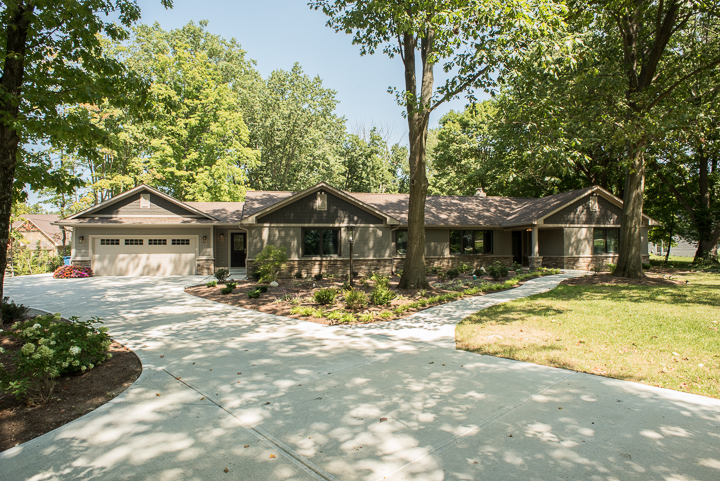 A whole home renovation of this 1940's ranch home includes an addition, new kitchen, new basement finish, office, and master suite with bath. 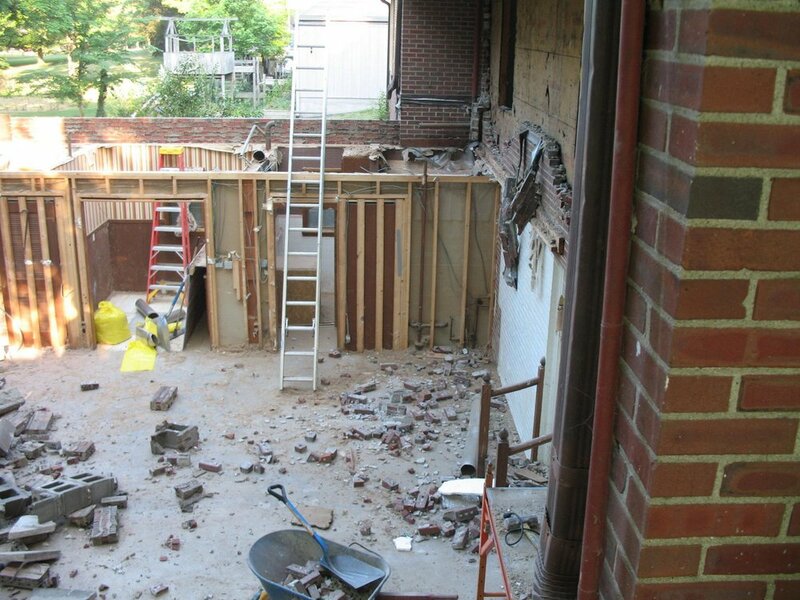 This historic Irvington home's unfinished walk-out basement was transformed by removing a structural wall to open up space for a kitchen and bar area. 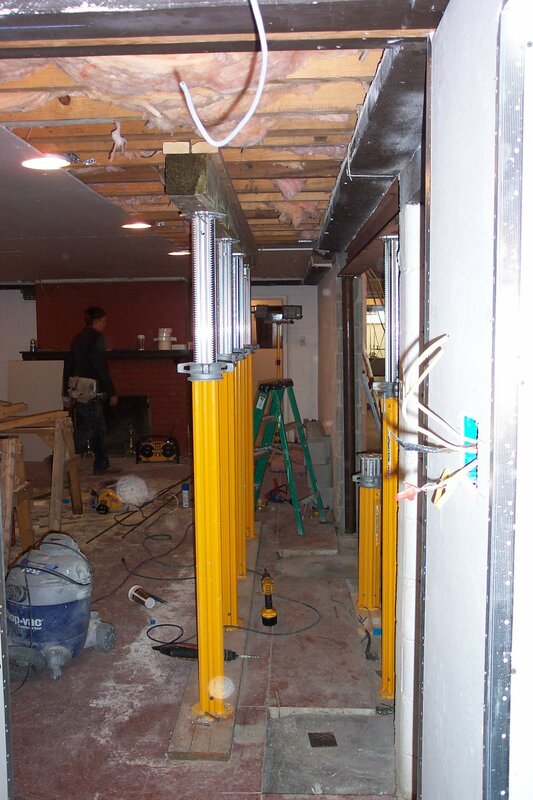 A steel support beam was installed to enable the opening. 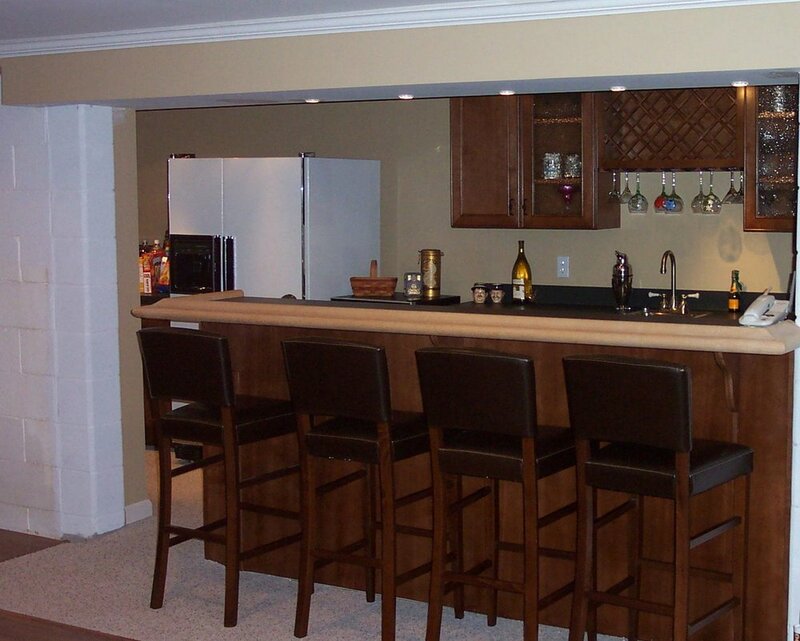 The hip bar overlooking the family room is complemented by an adjoining theater room.